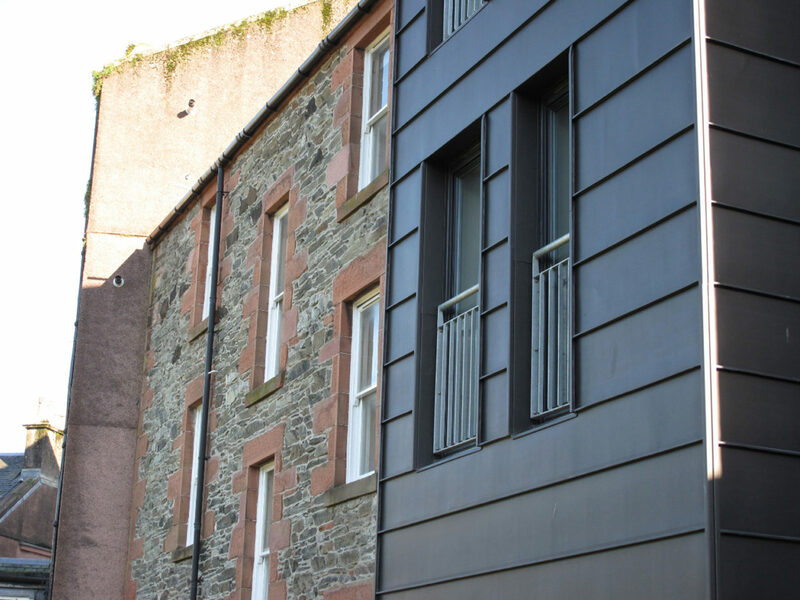 3 King Street is the remodeling of a fire damaged, three storey tenement in the centre of Rothesay. The architectural response was born out of a number of constraints. 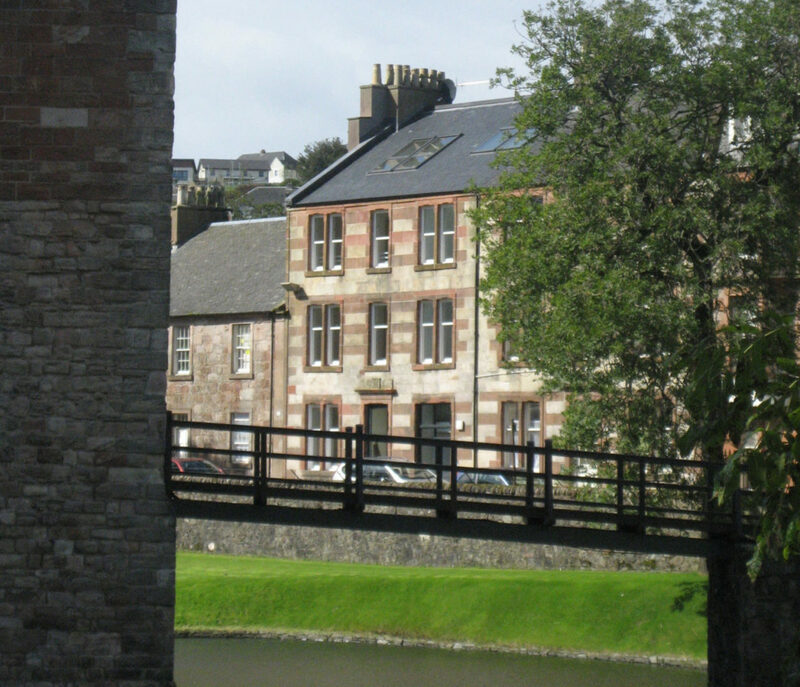 The spatial limits of working within the existing building footprint and the archaeological and planning restrictions adopted due to the conservation area status and proximity to Rothesay’s medieval core influenced the approach. The building responds to its context sympathetically while making the most of the opportunities afforded at the rear. 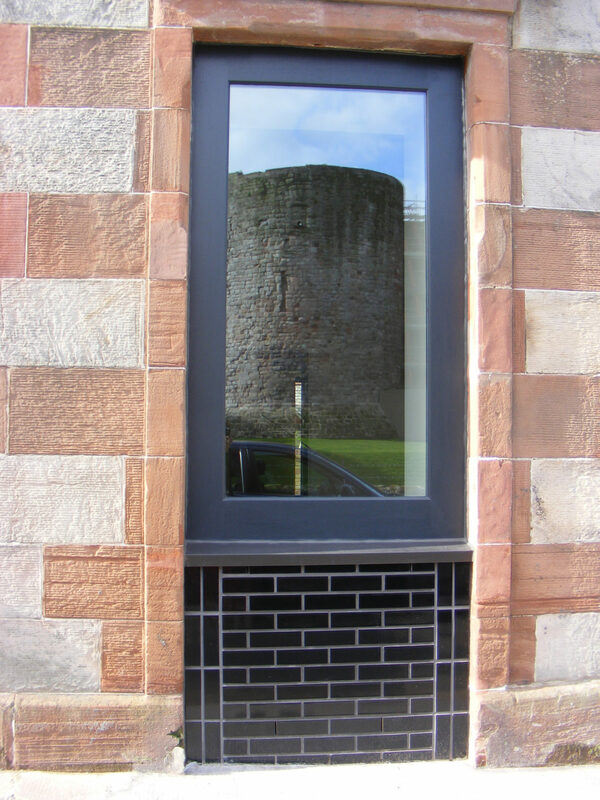 The front, facing the 13th century circular castle, retains the early 20th century ashlar stone façade, only adapting two existing openings to allow more efficient access. The colour and materials used for these interventions hint at the bolder approach taken to the rear. 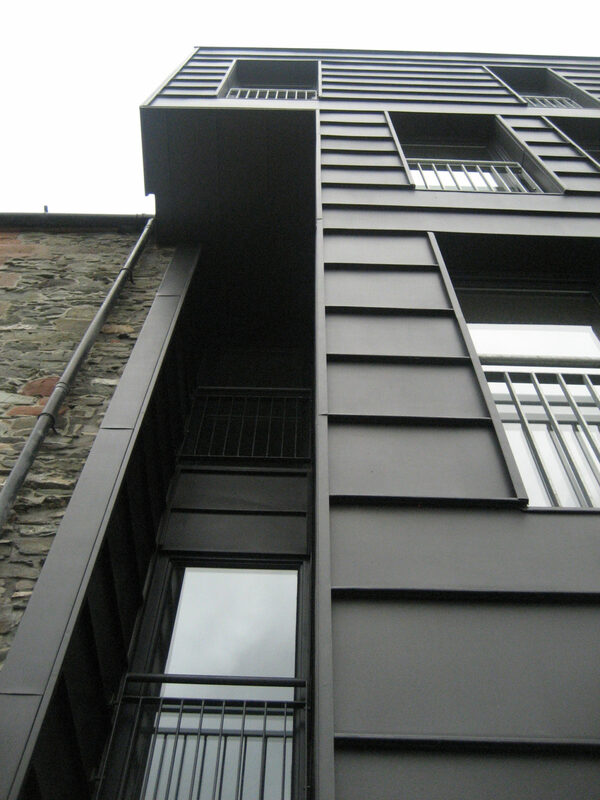 A simple black zinc form projects out of the random rubble rear elevation. The window size, proportion and positions reflect those of the adjacent existing elevations while the form appears distinct and separate; a clear statement that something new has been inserted. The plan relocates the vertical circulation to the party wall with the adjacent flats (similar small bedsits in a poor state of repair under the same ownership) to allow any subsequent refurbishment of these flats to be accessed through the same stair tower and lobby. Internal spaces are generous with high ceilings taking advantage of the existing floor to ceiling heights, the top floor flat is located in the roof space with its internal form following that of the external roofscape. 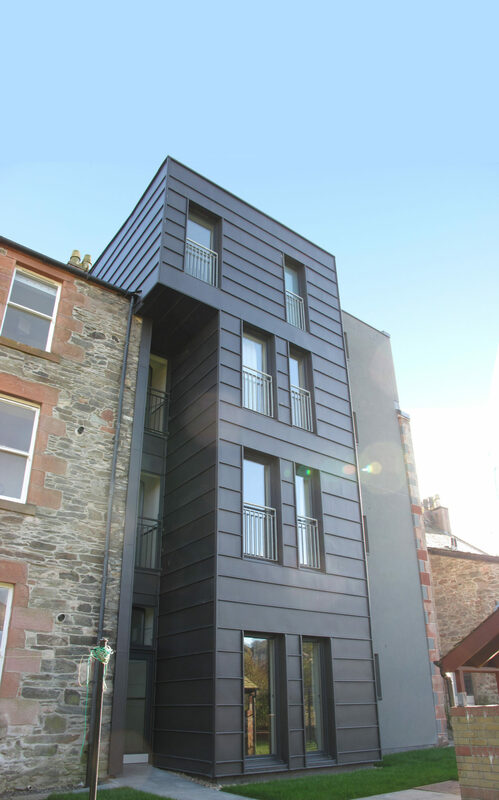 A highly insulated envelope combined with an efficient boiler and sensible use of thermal mass (solid walls to service core) and south facing glazing provide a simple approach to energy efficiency and comfortable internal environment.